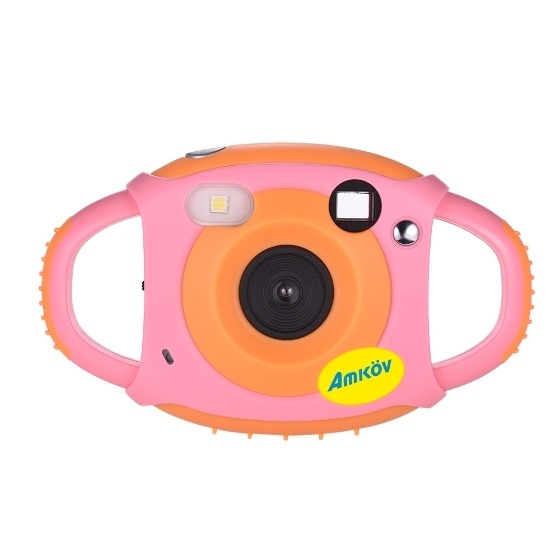 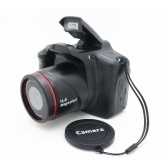 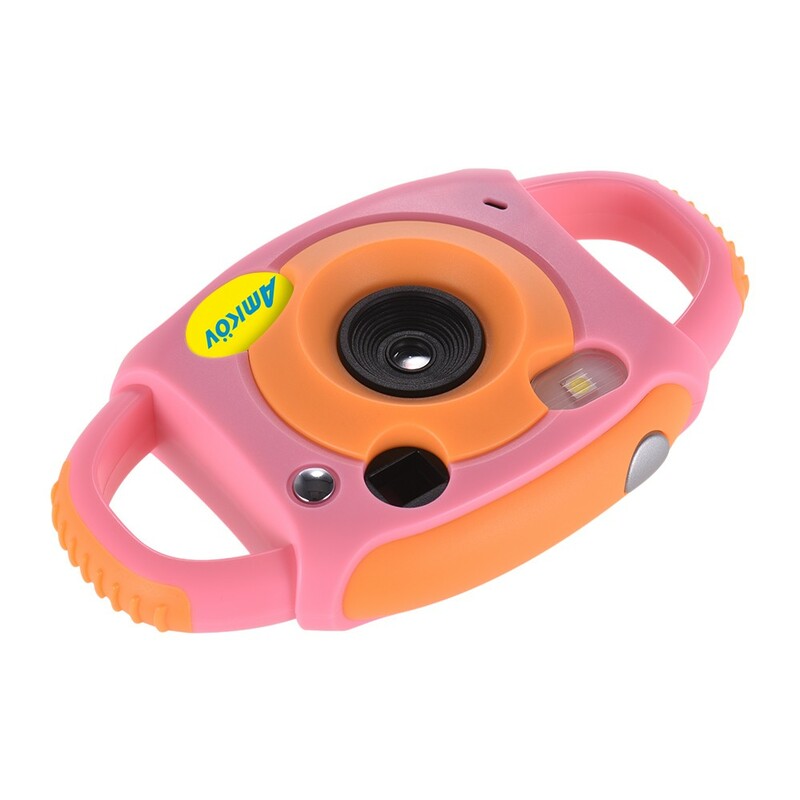 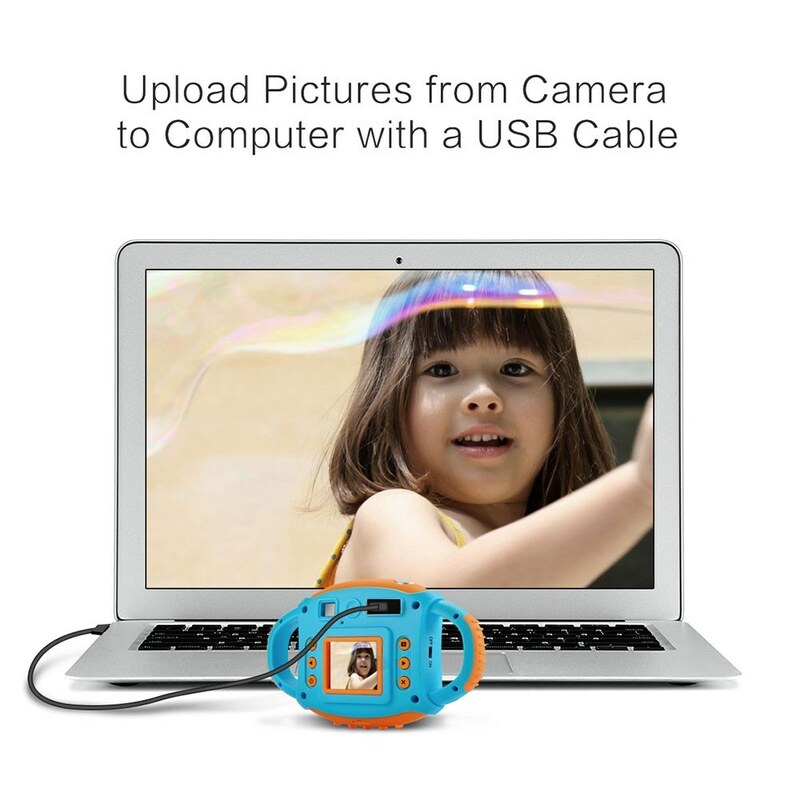 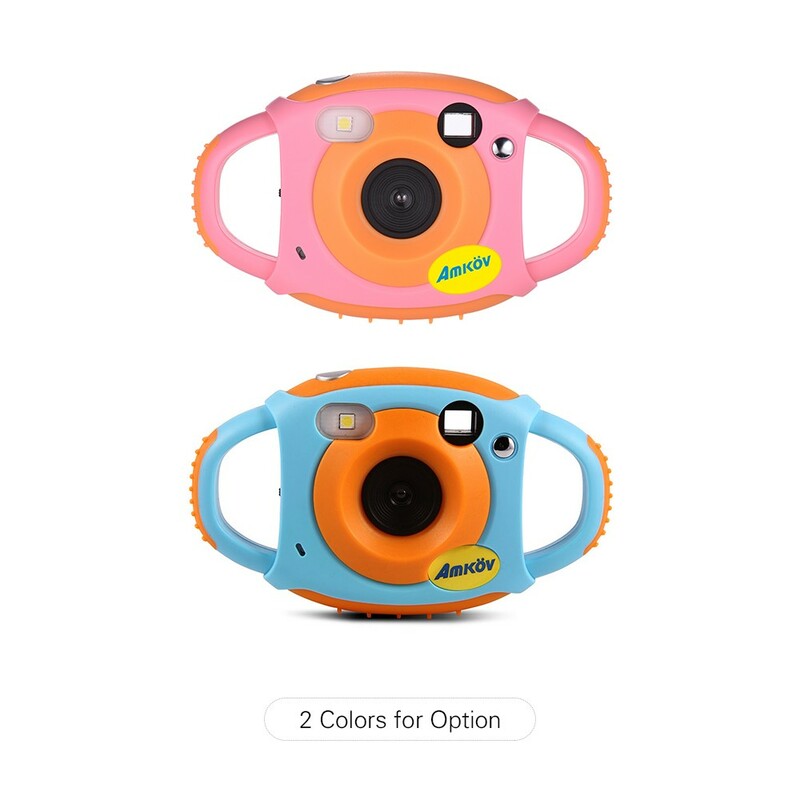 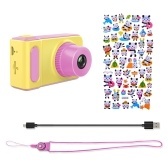 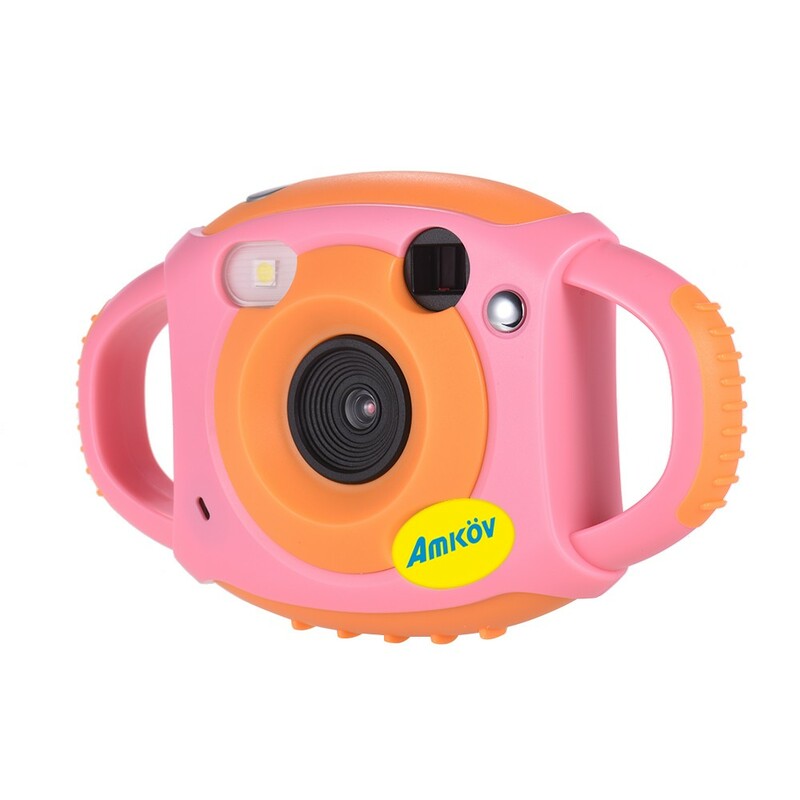 This little cute digital camera is specially designed for kids. 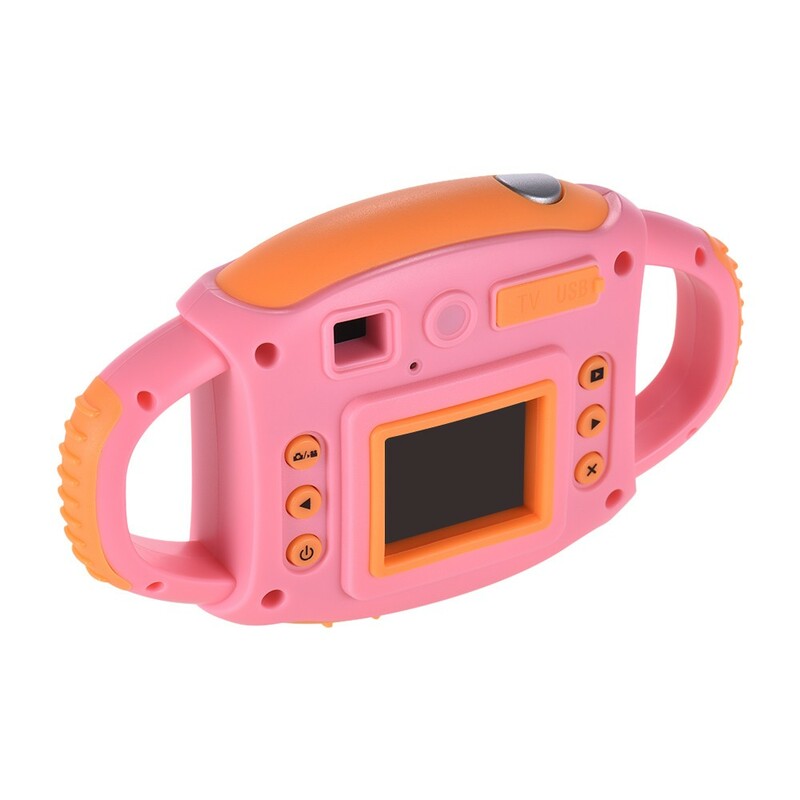 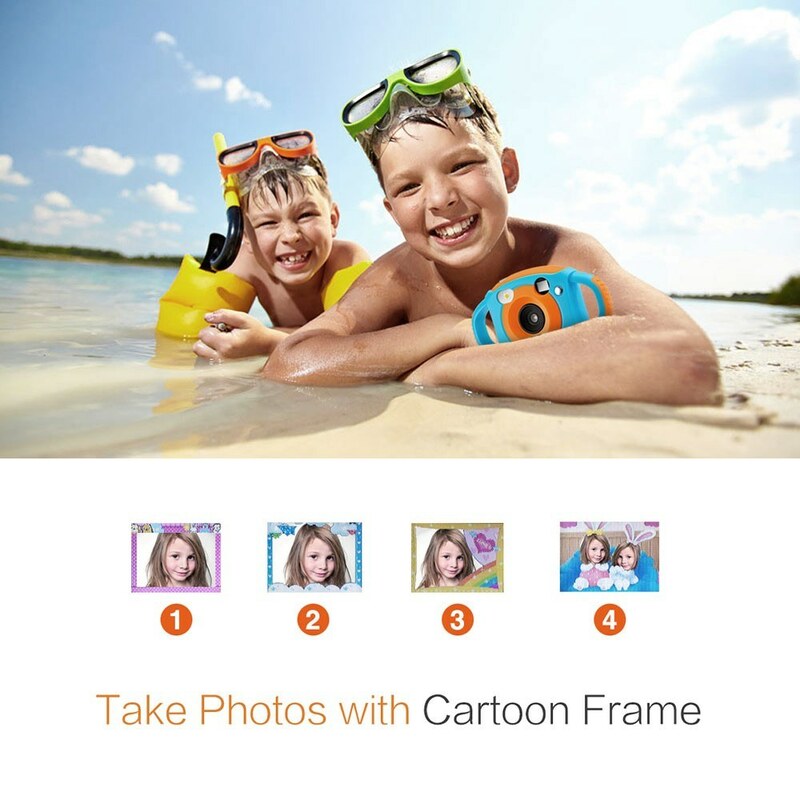 With cartoon appearance and 1.77" full-color TFT display, it can take photos with funny photo frame and record videos. 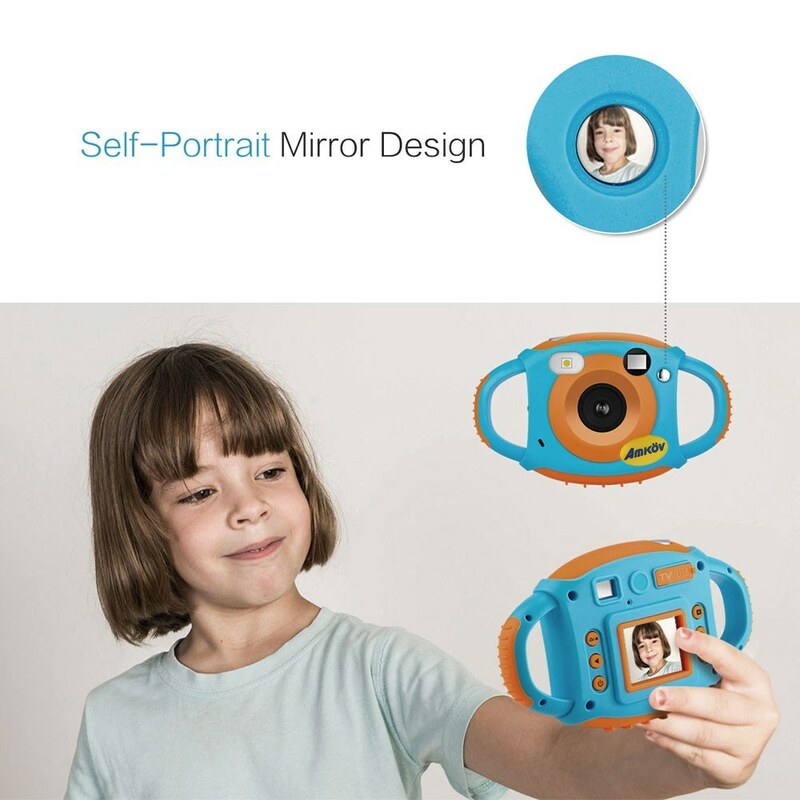 An ideal choice of Christmas gift, New Year present, birthday gift for kids. 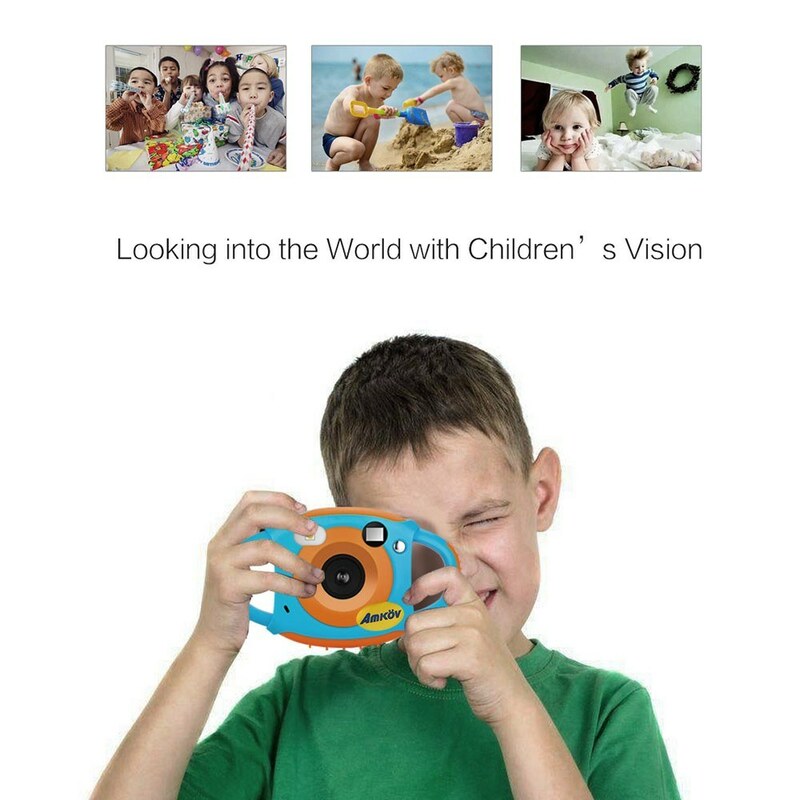 They will fall in love with photography with it! 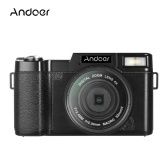 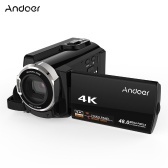 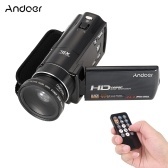 【For Taking Photos & Recording Videos】With 1.77" full-color display, 1.3 mega pixels 1/4" HD CMOS sensor and built-in microphone, it can take prefect pictures up to 5 mega pixels and record vivid video up to 1080P. 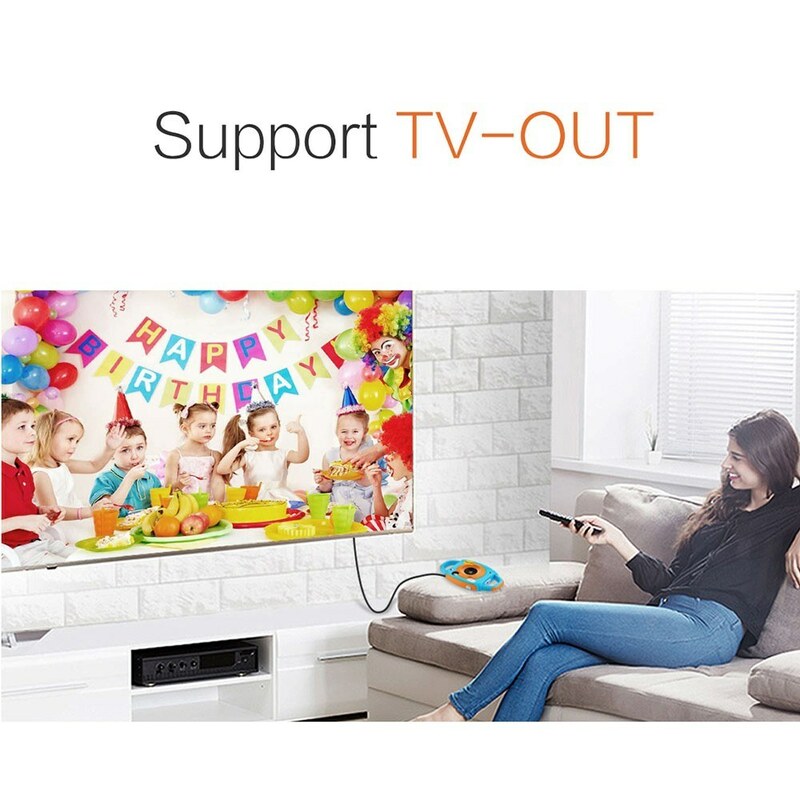 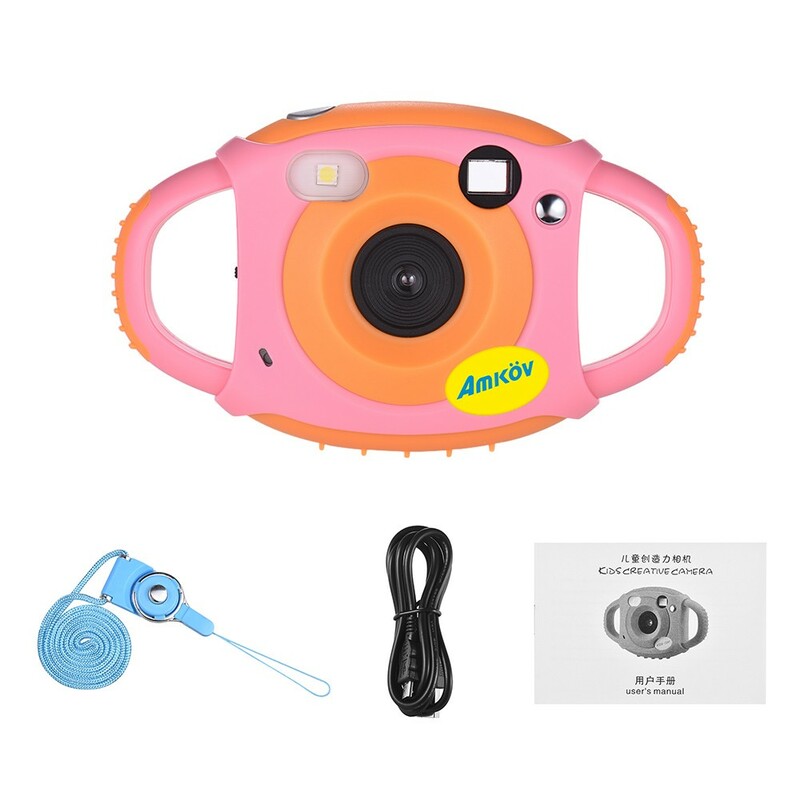 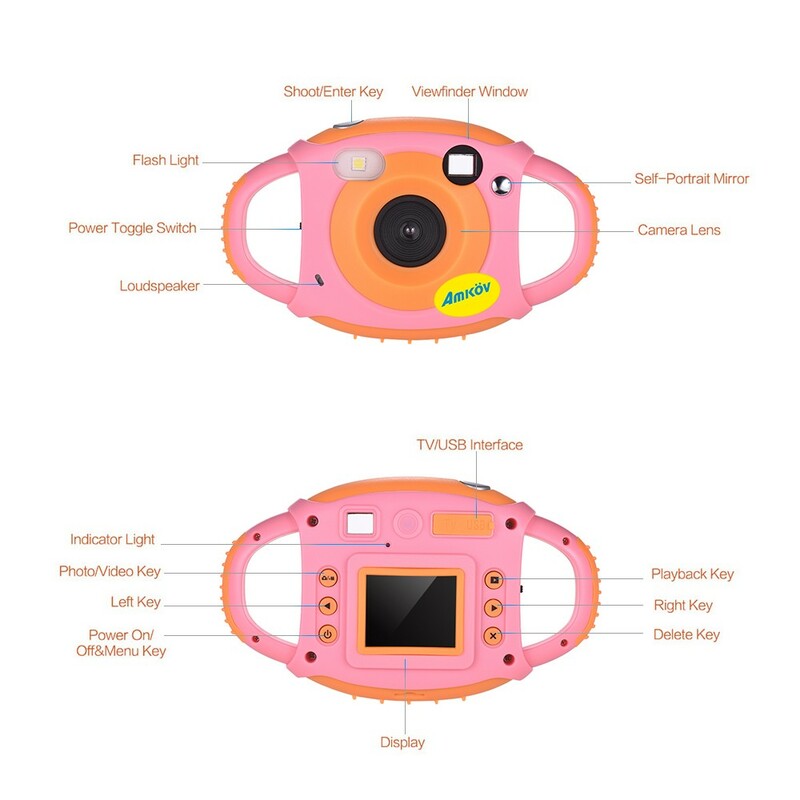 【Simple Operation & Funny Usage】Only 6 control buttons, super easy for kids to operate; and there will be lovely key sounds when kids pressing the buttons, very interesting; Built-in cartoon photo frames, kids can take funny photos by this digital camera easily. 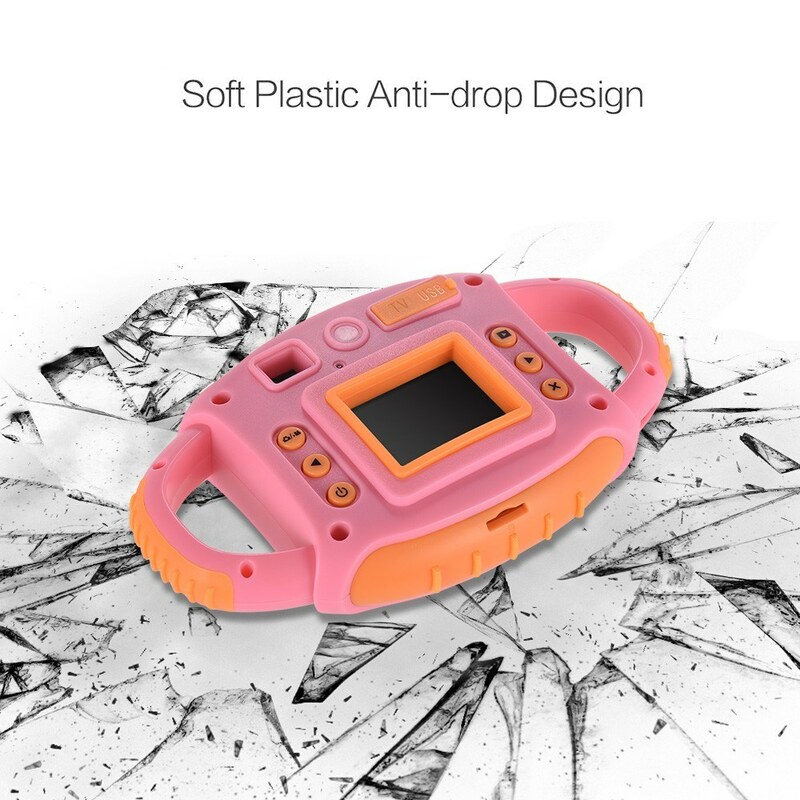 【Durable & Anti-drop】High-quality plastic shell, durable and anti-drop; 2 easy-grabbing handles design plus the included neck strap, you don't need to worry about accidental drop down from your kids hands. 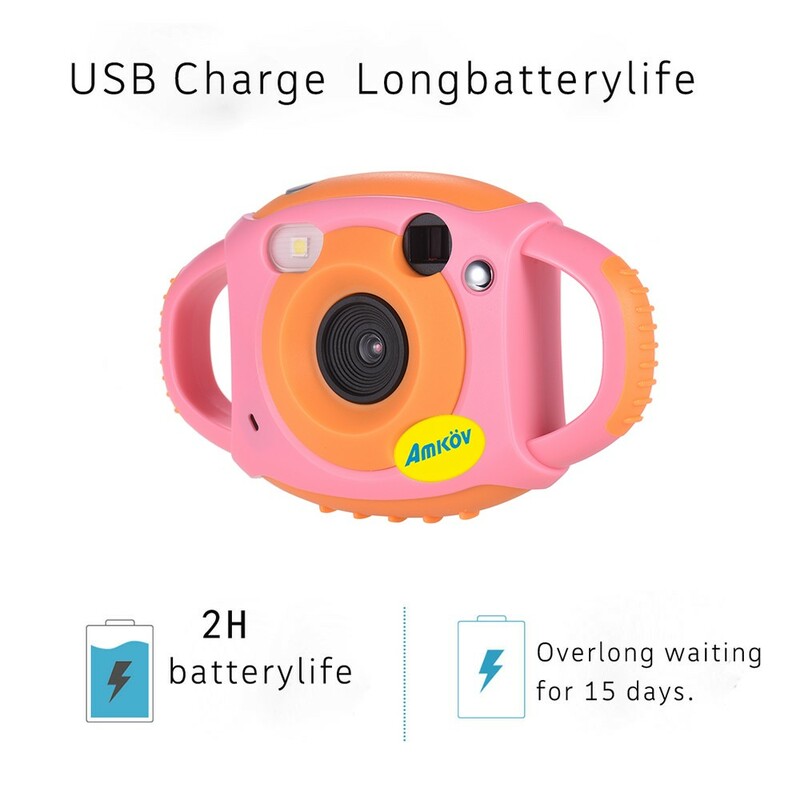 【Convenient Rechargeable Design】Built-in 600mAh rechargeable lithium battery and comes with USB charging cable, convenient to use. 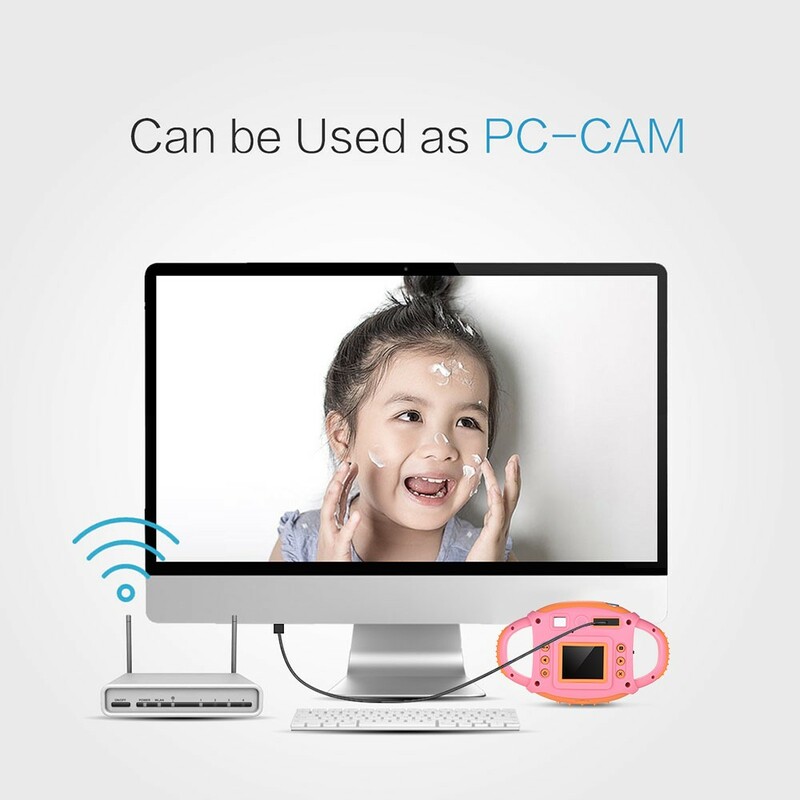 【Other Features】Pictures can be uploaded to computer via the included USB cable; can be connected to TV with TV cable, and the image on the camera screen will be displayed on TV. 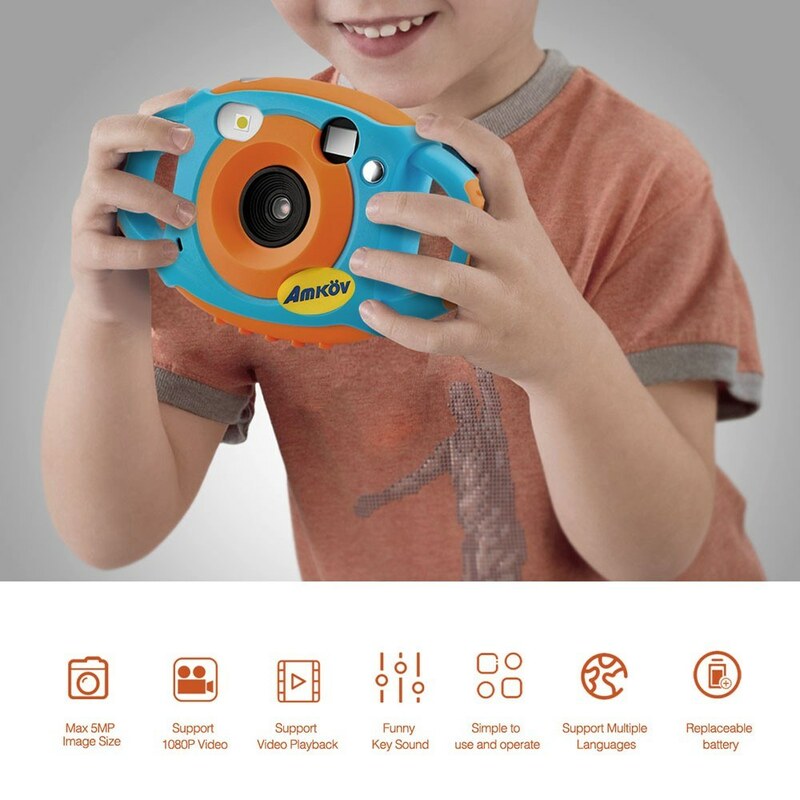 Language: English / French / German / Italian / Spanish / Chinese/ Japanese/ Russian, etc.